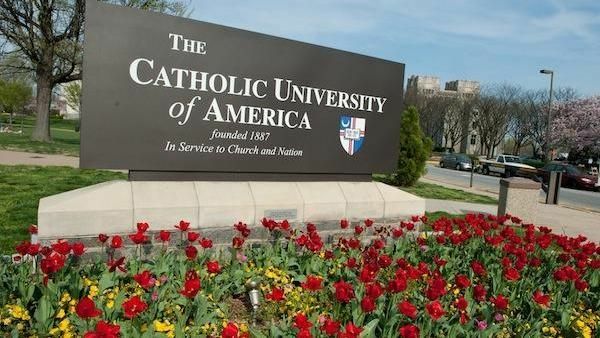 Established in 1887, the Catholic University of America is a private university located in Washington D.C. It is largest college campus in the nation’s capital sitting on 176 acres of land. It holds the distinction of being the only American university to be visited by three popes (John Paul II, Benedict XVI, Francis I). The university maintains a close relationship with the Roman Catholic Church and holds daily masses and frequent retreats for students to connect with their faith. Catholic University comprises of various schools and colleges such as School of Architecture and Planning, School of Arts and Sciences, The Tim and Steph Busch School of Business and Economics, School of Canon Law, School of Engineering, Columbus School of Law, Benjamin T. Rome School of Music, School of Nursing, School of Philosophy, Metropolitan School of Professional Studies, National Catholic School of Service, School of Theology & religious study and Theological Study. The university provides 45 doctoral programs, 78 masters program and more than 60 undergraduate programs. It utilizes a semester-based academic calendar. The total student population at the university is more than 6,500 of which over 3,400 students are enrolled in the undergraduate programs. The student to faculty ratio at the university is 7:1 and the acceptance rate is 74%. Catholic University student are encouraged to participate in more than 80 clubs and organizations. 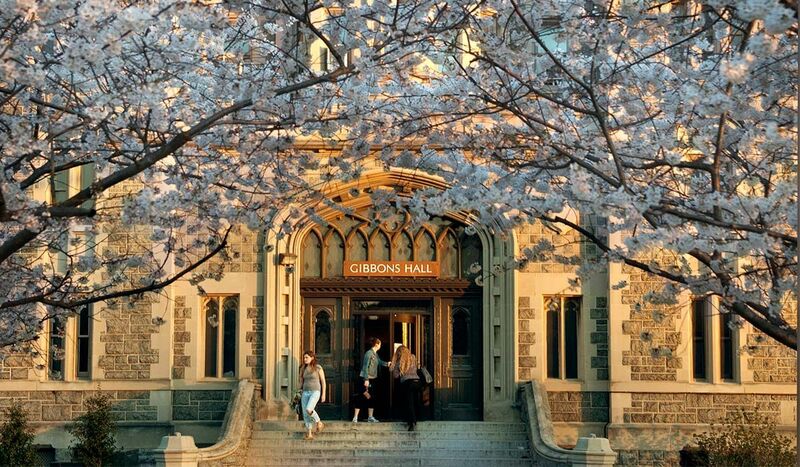 The university has been ranked as one of the nation's best colleges by the Princeton Review, one of the best values of any private school in the country by Kiplinger's, one of the most eco-friendly universities in the country and was awarded the "highest federal recognition an institution can receive" for community service. It has also been ranked in the top 10 of the best Catholic colleges in the United States. Biochemistry is the study of chemical processes in living organisms - from the chemistry of photosynthesis to the steps your own body takes to convert food into energy. A biochemistry major combines the principles of biology and chemistry to help you understand the processes that make life possible.As a biochemistry major at Catholic University, you will pay special attention to how science and technology can improve health and quality of life. A liberal arts curriculum aims to educate the whole person, giving you the skills you need to take on the big questions of modern science.The Catholic Church's tradition of intellectual inquiry fosters a passion for learning that becomes the key to success in a constantly changing field. With well-honed critical thinking and problem-solving abilities, you will be ready to take your knowledge out of the classroom and into the world after graduation. When you graduate from this program, you will be equipped with knowledge about the natural world and how to address biological issues of worldwide concern.Students have the opportunity to gain research experience in the laboratories of our own faculty through the Freshmen Research Scholars Program, the work-study program, and coursework. A number of our students also gain excellent research experience through student job programs at local government institutions such as the National Institutes of Health (NIH) and the Walter Reed Army Institute for Research. Biology majors also have easy access to area hospitals for those who wish to gain volunteer experience. "Anthropology is the study of human diversity from the Paleolithic to the present, how humans form and think about communities, how they make a living, impact the environment, communicate, and express themselves in art, religion, language, and in practical activities. Anthropological study is comparative and wholistic; students learn to integrate diverse kinds of information - environmental, economic, political, social, expressive - into composite pictures of human social life and cultures. Anthropology is where the natural and social sciences meet.Some anthropologists excavate and study material remains of past societies, others do ""up-close and personal"" research with living people where they live and work, on their thoughts and feelings, beliefs, recreation, material stuff and everyday lives. Anthropology also includes the study of human evolution and of linguistics, from the dialects that mark communities to how we do things with words." Anthropology is an excellent major for students considering careers that involve communication, writing, critical analysis of information, and high levels of cultural interaction. Anthropology graduates pursue careers in fields such as: advertising, city planning, education/teaching, forensics, journalism, marketing, medicine/health care, politics, public health, social work, museums, writing, systems analysis, environmental consulting, community development, and law. Students interested in research and teaching in anthropology usually continue on to graduate school as professional employment in the field typically requires an advanced degree. From the earliest Paleolithic cave paintings rendered over 30,000 years ago to the exuberant canvases of the late Modern Age, the visual arts offer a unique record of human civilization, expressing and preserving some of humanity's most vibrant, profound and cherished experiences, feelings, and beliefs.The study of art history is an investigation into this most essential, sophisticated, and enduring form of human communication. Beginning with a two semester survey of Western art and architecture from prehistory to the present, and followed with twelve more specialized courses, the art history major is introduced to a broad range of ancient, medieval, renaissance, baroque, modern and contemporary art works. In this process, the student is also introduced to a diversity of methodologies for understanding art objects formally and analytically in their social, political, and economic context. At Catholic University, you will take courses in philosophy and theology alongside classes for your major. 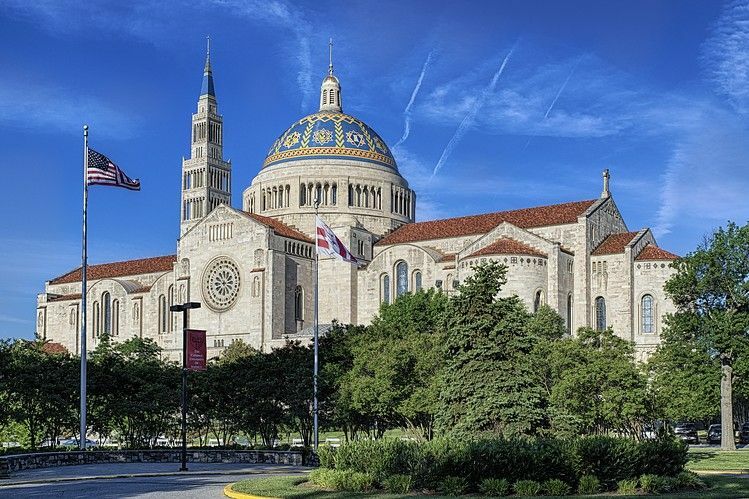 These liberal arts courses will provide a context for your study of classical civilization.In your time at The Catholic University of America, you will hone your abilities to read critically, write effectively, and draw connections between ideas. These skills will serve you well after you graduate. No matter what career you choose to pursue, you will be standing on a solid intellectual foundation. The annual cost of living at the Catholic University of America is $17,920 approx.